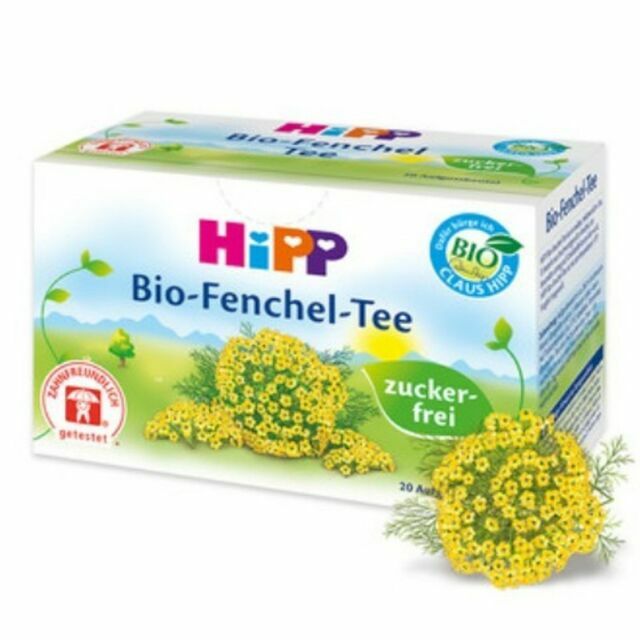 HiPP Organic Fennel Tea for Babies 20 x Teabags. This tea is gentle and has been especially developed by HiPP to help relieve the symptoms of colic. Hipp state this product is safe for your baby from the 4th month. Very good for my newborn baby! Help him with colic ! it helps my baby for constipation.